Shopping in the Hagerstown-Martinsburg, MD-WV area for storage solutions, kitchenware, dorm bedding or home décor ideas? Get inspired at the Bed Bath & Beyond® store near you in Martinsburg; you’ll find it in The Commons Shopping Center just off I-81 (use the in the Apple Harvest Dr. exit). 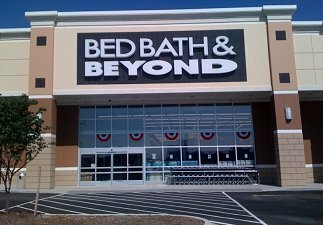 Whatever brings you to the area, you’ll enjoy great values on all the brands you love at this nearby Bed Bath & Beyond® store located at 172 Retail Commons Parkway, Martinsburg, WV 25403; (304) 263-8748. Friendly and knowledgeable associates are ready to assist with your selections. In addition to housewares and home goods, this store has a nice gift selection suitable for any occasion. Use the gift registry feature to create a birthday registry, baby registry, anniversary registry or custom occasion registry. Should you be planning a wedding or getting married, let our experienced personal wedding consultants help you create the perfect wedding registry while you select your gifts.